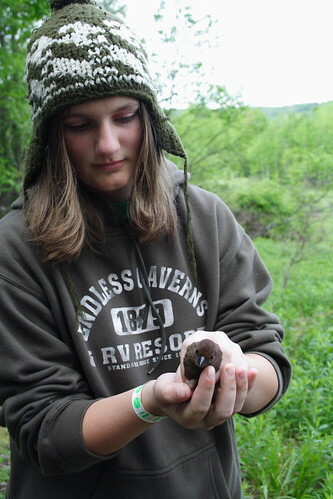 Allegany Nature Pilgrimage (Sort Of) – Bird Banding! 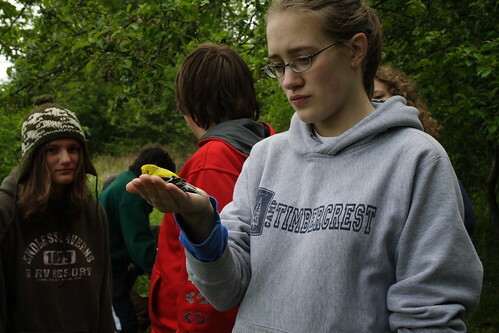 Emily’s bird won’t fly… I think she thought it was dead… But it wasn’t. It eventually flew! Jacob’s bird wouldn’t fly at first either. Just before it finally DID fly, it turned and gave Jacob a little nip! 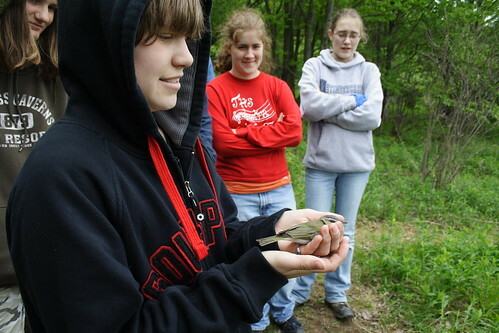 This entry was posted in Bird banding, birds and tagged Allegany Nature Pilgrimage, Bird banding. Bookmark the permalink. 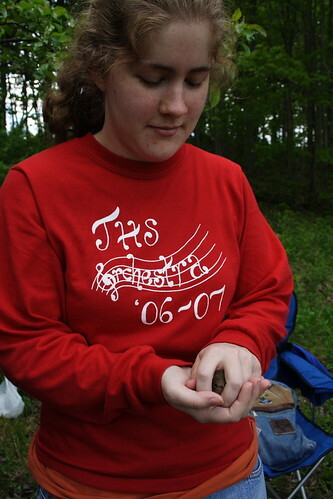 ← Allegany Nature Pilgrimage – Dragons! 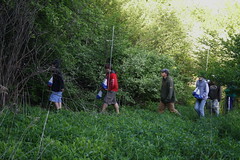 Splendid pictures of the banding adventure. What a marvelous experience it must have been for your crew. 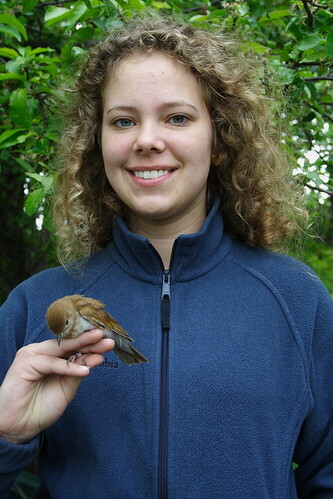 Curious that some of the birds wouldn’t fly at first — stunned reaction to being handled ?? Checked out the Mon@rch site for his account of the same program and see that lots and lots of kids and others took part in what must be a highlight experience for the year. 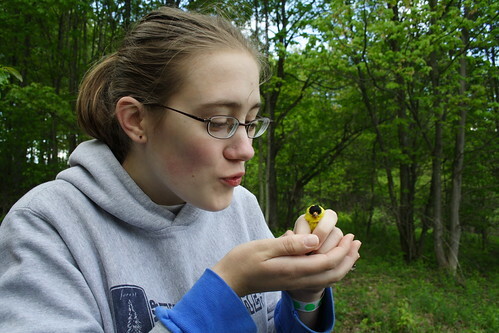 Those birds like the Red-eyed Vireo don’t realize they are free to fly and like Jen said . . . it took a nip at its finger then flew away!! Very typical behavior of the REVI!! 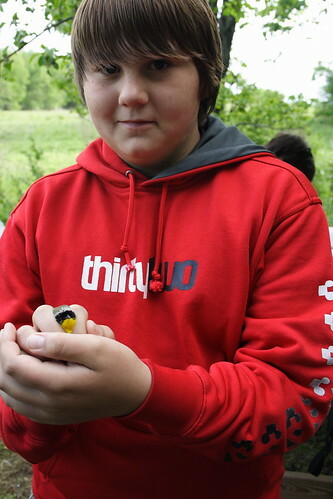 Also, when we work with the kids letting the birds go they use both hands. As soon as the top hand is pulled away leaving the resting bird in the cupped hand . . . . once it realizes its alright to fly it takes flight. Jen . . . wonderful series of pictures of all the kids and maybe another time you can bring them again?? Now that you know the directions . . . 🙂 Glad you and the kids had so much fun. 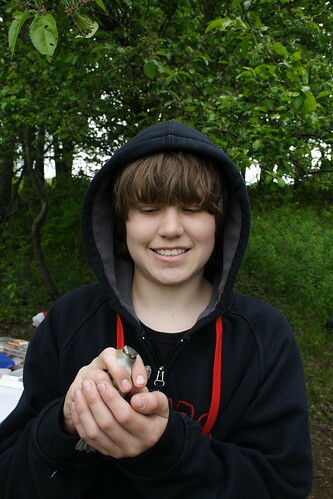 Thanks, all… This bird banding stuff sure is wonderful fun. Wish I had tagged along years ago. Glad everyone had a good time. Tom is a great guy and it’s no surprise really. I’ve always wanted to do this – looks like everyone had a great time.